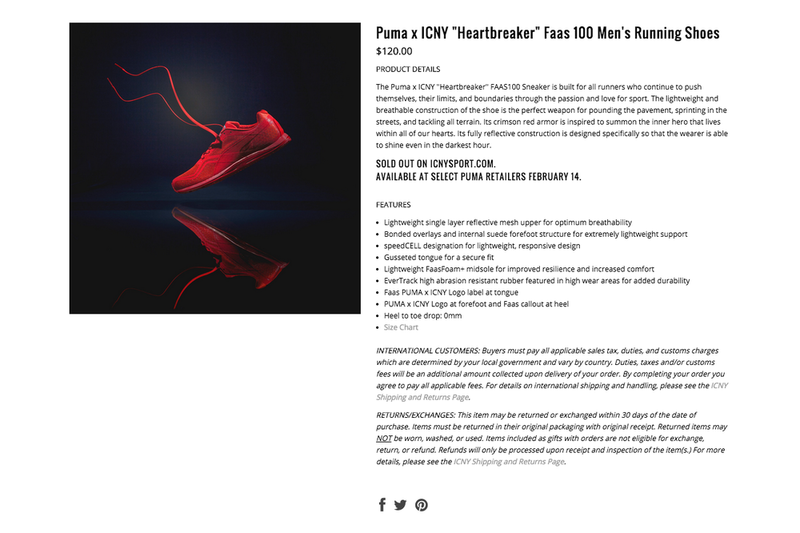 Earlier this month I had the opportunity to photograph the official images for the Puma x ICNY Faas 100 "Heartbreaker" shoe that released this past weekend. The great guys at ICNY trusted me to create their vision for the very first shoe collab they have ever done and I'm very thankful they allowed me to be apart of this exciting step. I'm happy to hear that they sold out this weekend and the next round will be available to the public on Valentines day!